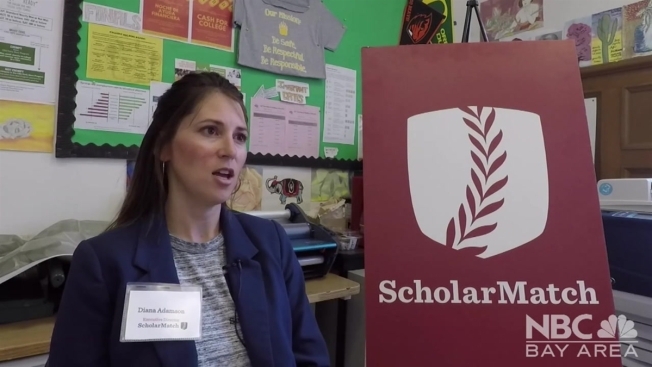 ScholarMatch, a San Francisco-based non-profit giving guidance to primarily low-income students through the college application process and beyond, is one of eight recipients of this year's NBCUniversal Project Innovation Grant. Founded in 2010 by author Dave Eggers, ScholarMatch began as a San Francisco-based crowdfunding platform for scholarships. In the process of administering student scholarships, it became apparent that students needed a support system. To meet this need, in 2011 the ScholarMatch rapidly began transforming into a full-service college access organization and now serves students nationwide at every point of the college journey. In 2015, they launched the ScholarMatcher, a groundbreaking college-list building tool optimized for the needs of low-income students, and began to offer college advising services virtually to high school students outside of the Bay Area. In 2016, they expanded their college services to serve students in Los Angeles and look forward to further expansion in the LA-area. Today, ScholarMatch is a nimble 20-person organization that is actively growing and constantly refining programs based on what works. For more info about ScholarMatch, visit there site here.